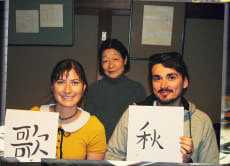 NARAigoto EENA HOUSE is a traditional Japanese house where we offer Japanese cultural experiences. 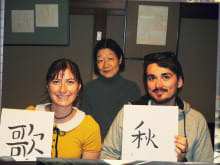 You can enjoy Japanese culture such as Japanese calligraphy, tea ceremony, cooking and Nara traditional craft. Make this a part of your great memories. Come and join us and enjoy a precious time in Nara! One of the things to do when in Japan . Is a tea ceremony this was well priced for such experience . The instructors were very nice and very helpful, they explained each move slowly, and sometimes multiple times so that I could fully comprehend it. If I still struggled, the instructor would take my hand and guide me. It was really great! Thank you for the wonderful experience!